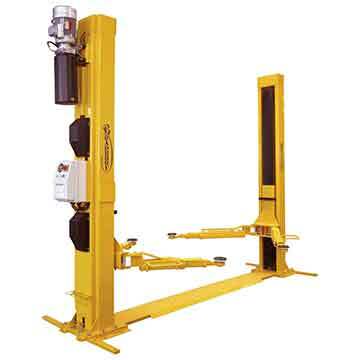 Elecric hydraulic operated two post vehicle hoist with clear floor frame design. Suitable for most cars and small vans. 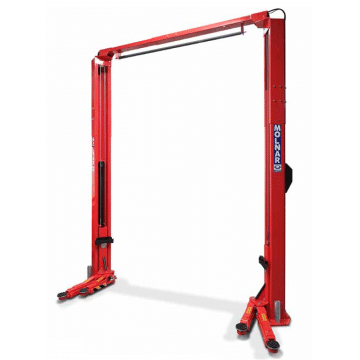 Electro hydraulic hoist, 3 stage arms, suitable for lifting most cars and small vans. Electro-mechanical, universal two post car hoist, Suitable for passenger vehicles. 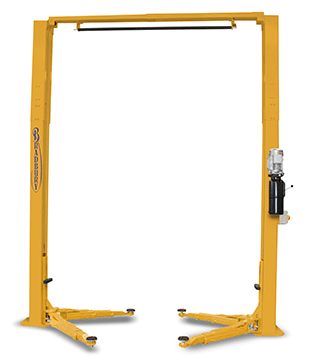 Hydraulic 2 post hoist, Double jointed arms system, folding inwards for easy pickup points reach. Suitable for passenger cars and transporters. 1. What type of vehicles will be worked on. 4wds, Sports cars, Commercial vehicles? 2. What work will be carried out on those vehicles? Crash repairs, Exhaust, Brakes? 3. Do you need to lift the vehicle by its wheels or chassis or both? 5. What thickness and grade is your concrete floor? For further information view our hoist selection information.